The Wow click pen features a classic click design, with contrasting color scheme. Sometimes to wow, it only but takes eliminating the modern chaos and look back to the fine-working conventional. The Hub Wow Click Retractable Ballpoint Pen is click retractable, traditional-looking, and functional and is built for that simple writing comfort. 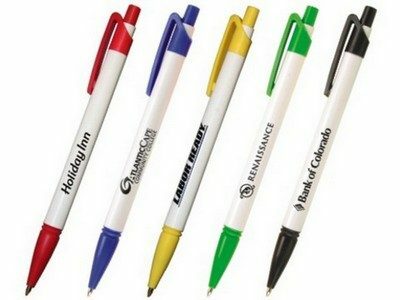 The pen's white barrels contrast the colored trims and makes sure your brand name pops out to any and all wandering eyes.